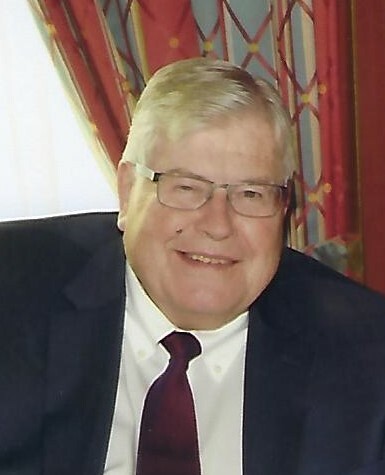 With heavy hearts we announce the passing of Bevan Garn Goff who died peacefully in his sleep in the early hours of Friday, March 22, 2019 at the age of 76. Bevan was born June 22, 1942 to Garn and Arlene Goff of Murray, Utah. He graduated from Carbon High School in 1960 where he met his eternal sweetheart, Judy. He attended and graduated from College of Eastern Utah and went on to finish his Electrical Engineering degree from the University of Utah in August 1964. Bevan married his high school sweetheart in the Manti Temple of The Church of Jesus Christ of Latter-Day Saints on September 8, 1962, just before starting school at the University of Utah. After completing his degree, he was hired by the Boeing company in Seattle in January 1965. Bevan lived and raised his family in the Seattle area for 54 years. He remained active in the church serving in many different callings from local leadership, Bishopric and Bishop, Ward and Stake Young Men’s President, High Council, High Priest leader. He taught Early Morning Seminary for 12 years and served as the Stake Coordinator for 12 years responsible for the Seminary program in his stake. He also served twelve years as a Seattle Temple worker with his wife. Bevan retired from Boeing after 42 ½ years of service. He is survived by his loving wife, Judy of 56 years and his children Bret and Kelly, Melanie and Rod Manning, Charlyn and Todd Whiting, Tyler and Christina, Annette and Chance Wilton, 17 grandchildren with 1 on the way, and 6 great grandchildren. Siblings, Jean, Wendy and Dave Copus, Charisse and Robert Fuhriman, and Gayla Gregory. Bevan was preceded in death by his parents, Garn and Arlene, brother, Barry, and his brother-in-law Jacob Gregory. A viewing will be held on Friday morning, March 29th from 10:00-11:00 AM. Services to follow at 11:30 AM at the Renton Stake Center, The Church of Jesus Christ of Latter-Day Saints, 19714 106th Ave. SE, Renton, WA 98055.